Mississauga scores a little slice of cinema history in Hedwig and the Angry Inch. From lame futuristic thrillers to Oscar-nominated period pieces, Toronto can handle any kind of film you want to throw at it. In the last few years, we have been carving out our own niche as a great setting for the all-singing, all-dancing casts of the world. Things got off to a rousing start with 2001’s super cool Hedwig and the Angry Inch. Alas, there are very few recognizable locations for us to dazzle you with. The most visible local landmark is probably the mall where Hedwig crashes a Tommy Gnosis record signing. Despite rumours that it is the Eaton Centre, we’ve determined that it’s actually Mississauga’s Erin Mills Town Centre. We also know that the interiors of the “Bilgewaters” restaurants, in which the band performs, were grabbed at a Markham strip mall. In the end, however, the most recognizable Toronto institutions are actors like Andrea Martin and Alberta Watson. On the other hand, the city really got to show its stuff in 2002. Toronto has subbed for Chicago more than a few times on film, but it was still galling for the people of the Windy City when they found out the film version of Chicago wouldn’t lens so much as a single frame in Illinois. But back in the days of the weak loonie it was hard to resist the draw of Toronto, so the future Best Picture winner set up shop here. 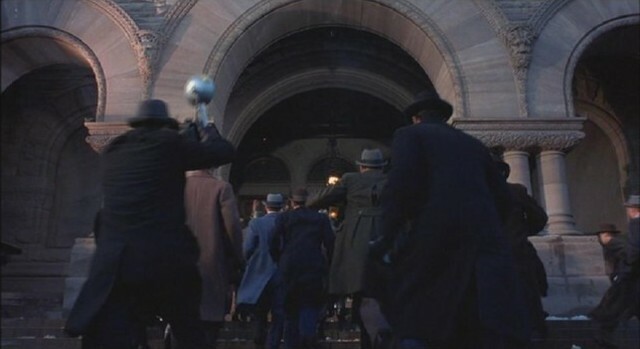 This paparazzi scene takes place on the steps of Queen’s Park but the courthouse interiors were shot elsewhere. If you’ve had a parking ticket or some other minor troubles with law, you may have been lucky enough to recognize Old City Hall. 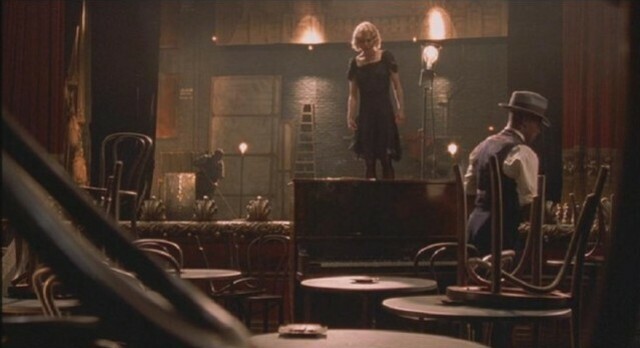 The big trial of Roxie Hart also takes place there, even if they only used the lobby and the exterior. This 108-year-old building was nearly destroyed when the new City Hall was built, but it is now a historically designated site. Art galleries, gourmet coffee shops, hangings…the Distillery has it all. It seems like every period piece—heck, almost every film of any kind—films a bit in the Distillery District. 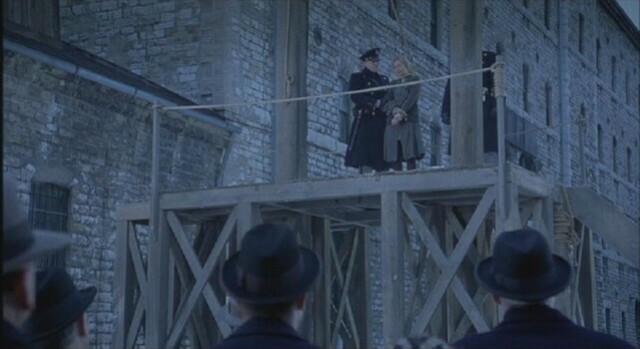 In Chicago’s case, it plays the role of a penitentiary in which the main characters meet up. The Music Hall has hosted movies, rock concerts and all that jazz. A lot of the musical numbers were shot on soundstages, but you can still spot a few familiar venues. While attempting a comeback, for example, Roxie auditions at the Danforth Music Hall, made up to look like a club. The Elgin Theatre, pretending to be the storied Chicago Theatre. When she and Velma Kelly turn it around and unite for their big finale, it’s before a packed house at the Elgin Theatre. Other locations used for shooting range from a stretch of Front Street (between Yonge and Bay) to Casa Loma and Osgoode Hall. “Good morning, Roncesvalles!” doesn’t have the same ring to it. One of the more impressive transformations of recent years has been turning 2007 Toronto into 1960s Baltimore for Hairspray. So authentic was the result, the city has a web page with before/after pictures showing how Roncesvalles Avenue at Dundas West was de-futurized. During the film’s opening number, “Good Morning, Baltimore!”, you really see how a good production makes use of Toronto locations—and you get to see some of our vintage Red Rocket streetcars. (Did you know you can charter them for parties? Cool!) The fact that we still have electric streetcars and Baltimore no longer does was apparently a key to the shoot coming here instead of Charm City. The city was all a-tizzy when the shoot was going on, what with “John Travolta in a Fat Suit” drawing the Entertainment Tonight crowd. This being the modern age, some intrepid bloggers kept track of the shoot as it moved across Toronto and Hamilton. You’re more likely to find a cheap plate of fried eggs than cheap jokes at the real Hardy Har Hut location. The Turnblad house and the adjacent Hardy Har Hut joke store are a redress of Gale’s Snack Bar, at Eastern and Carlaw. Don’t you wish you went to the cool, circular school on Spadina? Another location you may well have recognized is the very-distinctive Lord Lansdowne P.S, which plays the role of the high school in the film. Circular in shape, the 1961 building is located on Robert Road, near Spadina and College, and was designed by painter and architect, Peter Pennington. You can’t go wrong with an Art Deco exterior…even if the fonts aren’t quite right. Finally, in our by-no-means-exhaustive list, the exterior of the WYZT station was actually the Mono Lino Typesetting Factory on Dupont at Howland. At least one blogger was upset—not just by subbing Toronto for Baltimore, but also for the anachronistic use of fonts in the film. For shame. Time will tell if Hairspray manages to achieve Chicago‘s heights of Oscar glory. As it stands now, Chicago is the only Best Picture winner to have shot here so we can take a little pride in that. As Michelle Pfeiffer fans, we couldn’t help but enjoy Hairspray, and we hope she comes back to town if they ever make Grease 3. CORRECTION: October 18, 2013, 12:55 PM This post originally misidentified the doorway scene as Chicago as Old City Hall when it is actually Queen’s Park. The interiors, as stated, were shot at Old City Hall but the text has now been corrected.